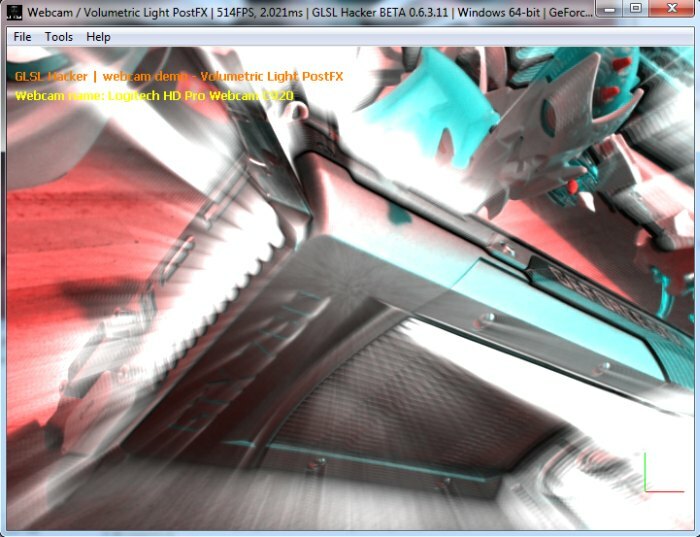 While I was browsing Shadertoy for the new version of MadShaders, I stumbled on this very cool post processing effect. 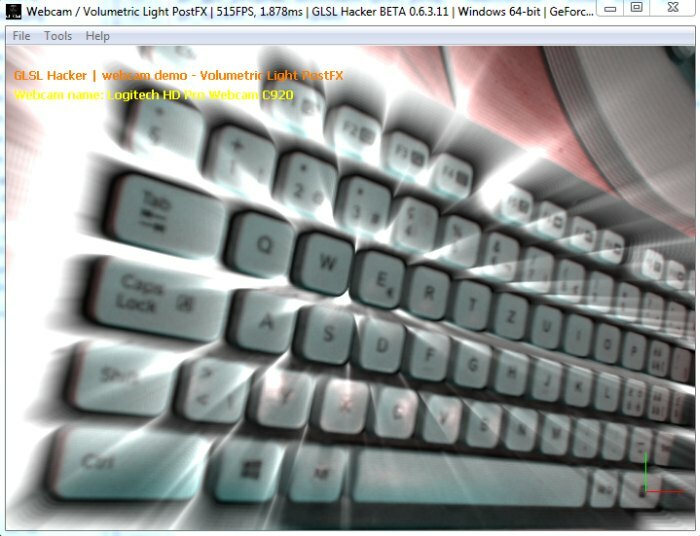 This kind of volumetric light effect (actually a radial blur effect) is perfectly suited to add a nice illuminated touch to the webcam output. I quickly coded a small GLSL Hacker demo that exploits this postfx filter with the webcam. The demo is available in the moon3d/gl-210-webcam/ folder of the code sample pack (download the DEV version, same thing for GLSL Hacker). 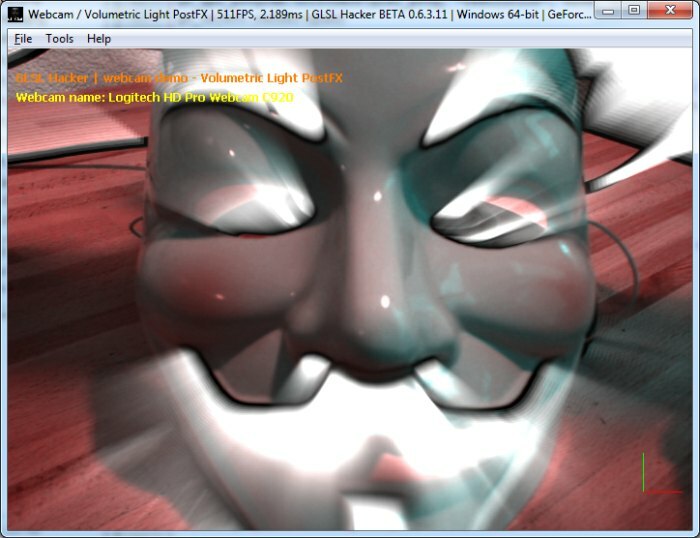 Just load the demo_webcam_lua_win32_postfx_03.xml in GLSL Hacker and you are ready to play with it. This demo is available for Windows only. More post processing filters are listed in the Shader Library.